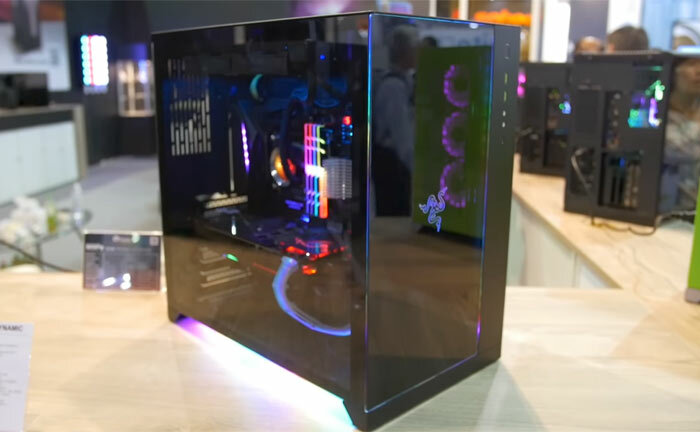 At Computex there is evidence of Razer opening up its proprietary tech for the wider benefit of the PC community. Two news stories highlight the philosophical change; firstly it is opening up its Chroma lighting system to third parties, secondly third parties will be supplied with Razer mechanical keyswitches to make their own branded keyboards. Technology is littered with rival standards set up as companies jostle to dominate or promote their own ecosystems. The rival standards are a common cause of friction for consumers but a dominant player might reap some benefits from imposing such standards on its customers - e.g. Apple and the lightning cable, Sony and its memory sticks. More pertinently, it seems like every PC systems and components maker has devised its own 'standard' for RGB lighting sync and control. At Computex, Razer has announced that it will start allowing select partners to connect their devices into the Razer Chroma ecosystem. "Gamers today own multiple RGB lighting-enabled devices, but they can’t enjoy a truly immersive experience because these devices don’t talk to each other," said Razer Co-Founder and CEO Min-Liang Tan. "For the first time ever, we’re letting our partners tap into the Chroma ecosystem so we can bridge that gap for the benefit of all gamers." 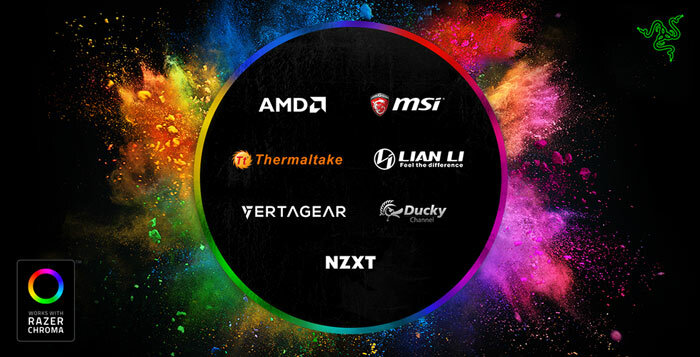 Via the Razer Chroma Connected Devices Program partners such as MSI, NZXT, AMD, Thermaltake, Lian Li, Vertagear, and Ducky will all be able to tap into Razer's lighting protocol. However, there is still some time to go before this functionality gets shared out. Razer says that third part support will launch in Q4 this year. Razer mechanical switches are exclusive to Razer products such as the Razer BlackWidow series of keyboards. The firm has made various claims about how they are superior to rival switches, being designed for speed and accuracy, as demanded by eSports pros, and with greater durability than other makes. Razer COE Min-Liang Tan says that other keyswitches were designed "for anything but gaming", so he is happy to be able to work with select partners to fit Razer switches into their gaming keyboard ranges. Keyswitches made by Razer are available in three colours, corresponding to three action/feel types. The Razer Green switch is tactile and clicky, its Orange switch is tactile but quiet, and its Yellow switch offers a fast 1.2mm actuation and quiet performance. Third parties will be releasing keyboards with Razer keyswitches at an unspecified time 'later this year'.